How does the price per gallon from this Aqua North Carolina company compare to Town of Boone water sold to someone living in the ETJ? JW, no; what you are describing is not privation. It is fascism. True, competitive free enterprise is what we need. This is exactly why I support the Town's efforts to find another water resource and build a facility and why I even voted for the referendum on this and, as a Town resident, voted for a tax increase to make it happen. Our town water bill costs us around $28 per month. I consider that very reasonable (there are three of us here). It is true that we work to conserve water. 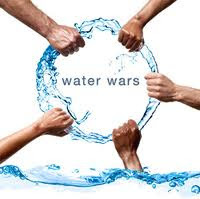 Anyone who has ever read Water Wars knows that allowing a private entity to come in, grab our natural resources and then sell it back to us with no accountability to its customers has proved a disaster for other communities nationwide and internationally. If Town of Boone residents get angry about high water rates, they can fire their elected representatives. This option is not available to those who are screwed by a private company. As for what people are paying in the ETJ for water, it is generally 2x the cost of town residents, which is only fair since ETJ residents do not pay town taxes (which pay for upkeep, etc.) If someone in the ETJ wants to pay the going rate, they can petition to be annexed into the town. Why should Town taxpayers have to subsidize water for those who are not paying town taxes? The privatization and transfer of essential needs to a private corporation changes water services from a public good to a source of private profit. That means a total focus on driving influences will be the bottom line. That is why currently multinational corporations are heavily involved in water privatization. I've often wondered if those who throw around the word "fascism" have even a remote clue as to what fascism is. Fascists organize a nation according to corporatist perspectives. A public utility owning a water system is fascism? That's a new one. Fascism is not limited to nations and global corporations, etc. It is evident in local and state government situations as well. I am in favor of keeping things close to home. We the people own the water and it is the people's elected officials who control the people's town government and thus the water. That is where it needs to stay. And, no I am not a Town or ETJ resident; I am a county resident. This is just a sign of the things to come. I was just curious about the price thing, but I totally agree with you and J.W. on this one. And please allow me to add one more good reason to your list. If a private company owns the water supply, the person who determines the quality and control of the water may be thousands of miles away, and therefore may not care about what you and I get from our tap. We would love to get annexed. We have no problem with the tax increase, as it would be fully offset by the decreased water bill. I like our Town Council members. I think they are thoughtful and hardworking, and they do a great job of balancing the rights of individuals to make an entrepreneurial living in the town, while protecting the town's unique and historical flavor from the corporate march to turn every town in America into a cheap, bare, prefab interstate exit town. If, as stated on an earlier post, the water belongs to everyone, what is the problem with someone putting in infrastructure and making a profit from delivering it to those that want it? Anonymous - Greed is not good. Some things should not be for profit. Providing goods or services that people want and need for a profit is not greed. It is business. If you charge to much, people will not purchase your goods or services and will go to your competitor. It is the fair market system.